Without the Love of God in our lives all these actions are selfish and self-centered. Balim knew Adonai, talked to Adonai but did so without love so perverted the position he had into a way of pronouncing blessings and curses for a price. His sin was even listed in Revelation. Yet when we do these actions with love we build community, trusting in the leadership of Adonai. Dear Lord keep me and let me always use Your love as the measure on how I deal with my fellow man. I ask this in Yeshua’s name, amen. So many times I have heard the Word of Adonai in my life but like Herod denied the Author of that Word so it would not truely touch my soul. 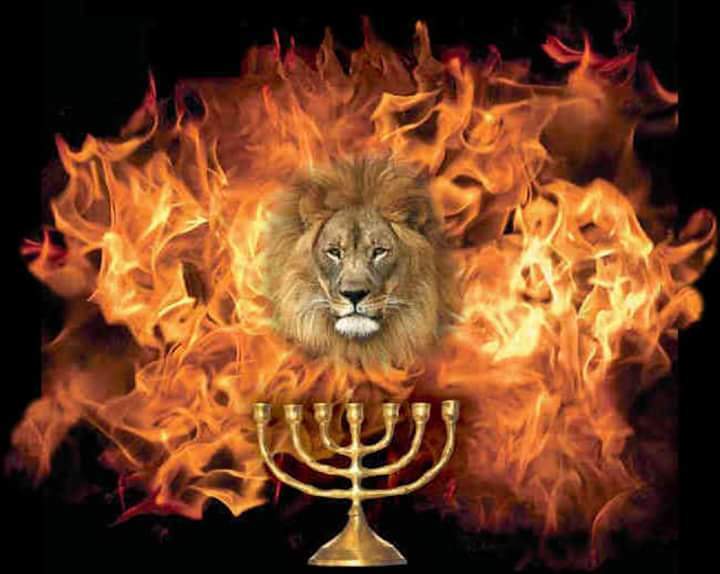 Adonai in all His Greatness has provided a healing for everything that keeps us sick in sin. Yeshua’s blood for all time has redeemed us back to God if we would only trust and quit tring to rationalize the supernatural in our lives. Thank You God for Your sacrifice in Yeshua, Your Word on our lives through the Ruach, Your rulership in my life, amen. What trust is this! The High Priest of the Nation of Israel, the Cohen Gadol was to receive one one hundredth of the riches of the land. In order for Adonai to bless Him, He would have to bless all the L’vi’im who received one tenth, which in turn means Adonai would have to bless the whole nation in order for them to live off the ninety percent they kept for themselves. Tithing blesses the whole nation when done with trust and rejoicing in the this act of worship! Praise Your Lord for Your provision! Amen! I have been and continue in a season of pruning, as Adonai removes things from my life that I clinged to more than Him. My preservation in this time has been His Word, as Moshe wrote all those years ago “fill us at daybreak with Your love.” Without godly friends encouraging me to study the Word everyday and journal I do not know if I would be who I am now, let alone where I am. I know without the Word despair and grief can grind you into nothingness. So Praise God and let our joy last longer than our sorrow, I ask this in Yeshua’s mighty name, amen. Some were convinced by what he said, while others refused to believe. So Moshe took the wagons and oxen and gave them to the L’vi’im. He gave two wagons and four oxen to the descendants of Gershon, in keeping with the needs of their duties. Four wagons and eight oxen he gave to the descendants of M’rari, in keeping with the needs of their duties, directed by Itamar the son of Aharon the cohen. But to the descendants of K’hat he gave none, because their duties involved the holy articles, which they carried on their own shoulders. While all things are given to us by Adonai there are some things that He would have us set aside and treat as Holy, Nothing common or what we use daily should touch this. For me this is my tithe, 10% of my income set aside before I buy anything and consecrated for Adonai’s use and my how I spend my time on Shabbat. Lord, I am not perfect in this reverent attitude, keep pruning me into the man I need to be to serve You, I ask this in Yeshua’s name, amen. “Tell the people of Isra’el, ‘When a man or woman commits any kind of sin against another person and thus breaks faith with ADONAI, he incurs guilt. “But this I do admit to you: I worship the God of our fathers in accordance with the Way (which they call a sect). I continue to believe everything that accords with the Torah and everything written in the Prophets. And I continue to have a hope in God—which they too accept—that there will be a resurrection of both the righteous and the unrighteous. Indeed, it is because of this that I make a point of always having a clear conscience in the sight of both God and man. What a powerful statement by Sha’ul, all promise of a resurrection is in the Torah and the prophets. By studying and understanding the Word he was able to follow Yeshua when convicted, to get past the religion and find his trust in Adonai. Lord instill in me this conviction that no matter the trouble I face I can stand and say I have a clear conscience in the sight of both God and man, for my trust in You. I ask this in Yeshua’s name, amen. These are the laws, rulings and teachings that ADONAI himself gave to the people of Isra’el on Mount Sinai through Moshe. The Torah is God’s Word. How can one period be cast away when Adonai, who is perfect in all things, gave this to us. God bless His holy Word. Nothing I do under my own strength and understanding is worth anything, because Adonai is not glorified in selfish actions. Yet when I cling to His Word and follow in His ways I am blessed. There may still be struggle but it is the struggle of creation and refinement leading to celebration and joy, but only if I stay on His path and in His Word.